Ontario Power Generation’s head office at 700 University Ave is a complex, high-rise office building situated on a very tight site in the heart of downtown Toronto. OPG is obviously a critical service provider for the people and businesses of the Province of Ontario, and maintaining a reliable source of emergency power is critical to their operations. 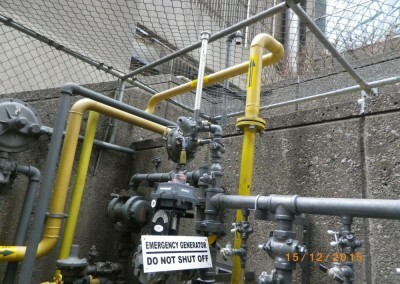 While the building at 700 University Avenue is serviced with electrical power from the local utility’s distribution system, and the focus of this project was to improve their emergency power supply, we have selected this project as one to feature our experience with generators and their ancillary systems since CFS Alert uses diesel generators as their sole source of electrical power. 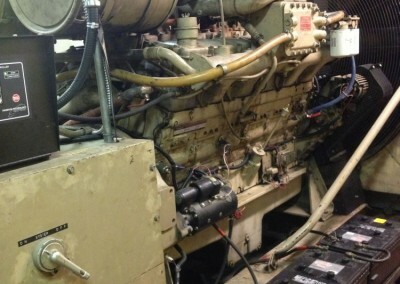 NA Engineering Associates Inc. undertook a condition assessment of the existing diesel generator, which was nearing its end of service life. It was determined that it was necessary to design a replacement generator and remove the existing unit. Our firm designed the Emergency Power system to be replaced with two new generators rated each at 450kW (562.5kVA) 240/416V 3Ph. 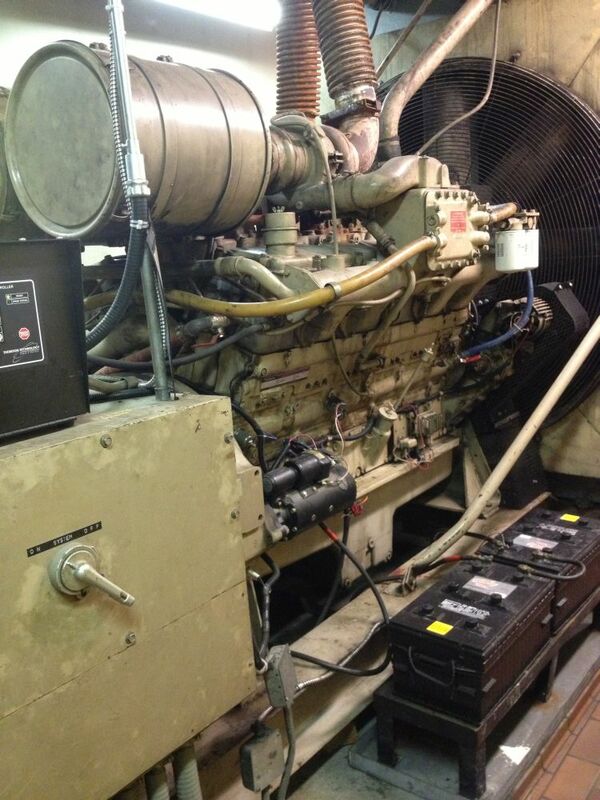 We designed the Sync Power systems to control and monitor both generator sets in parallel. 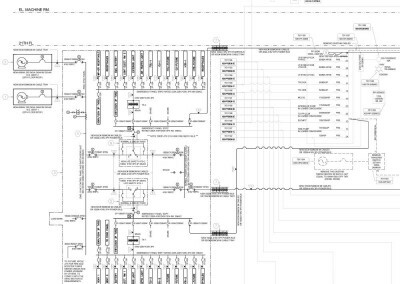 This project included the design of the normal and emergency power systems to support the life safety and critical loads for a high rise building. 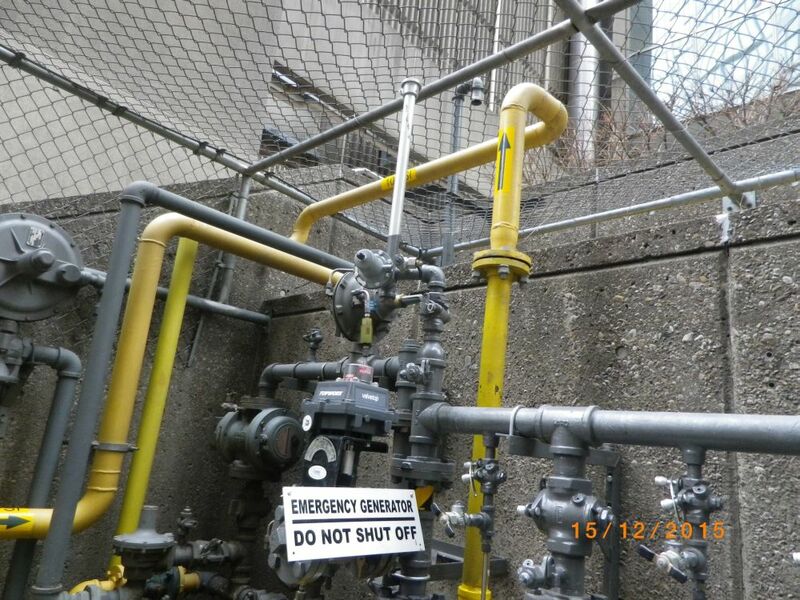 Also included was the design of a failsafe system such that when one of the emergency generators is not running that it will power the primary life safety electrical loads. 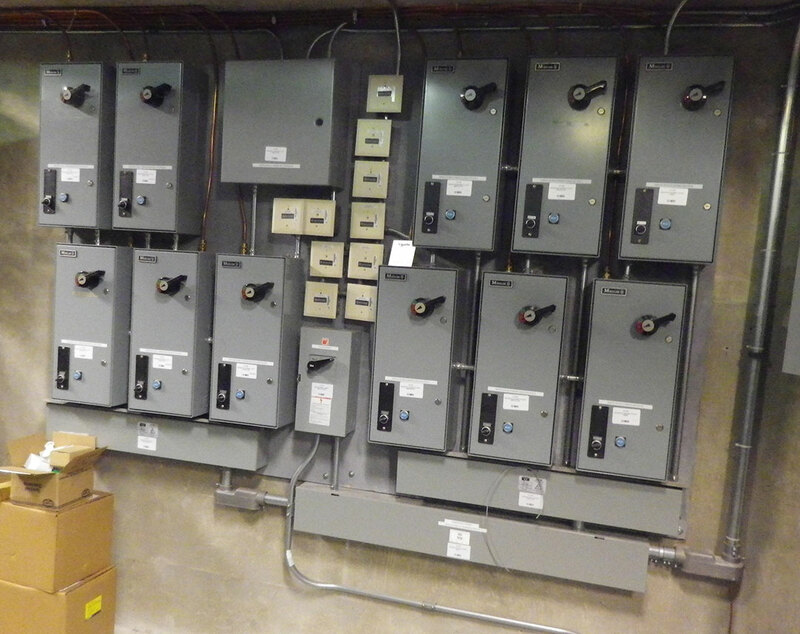 A permanent load bank testing system was utilized to ensure that the power would transfer automatically in the event of an emergency power demand while in testing mod. 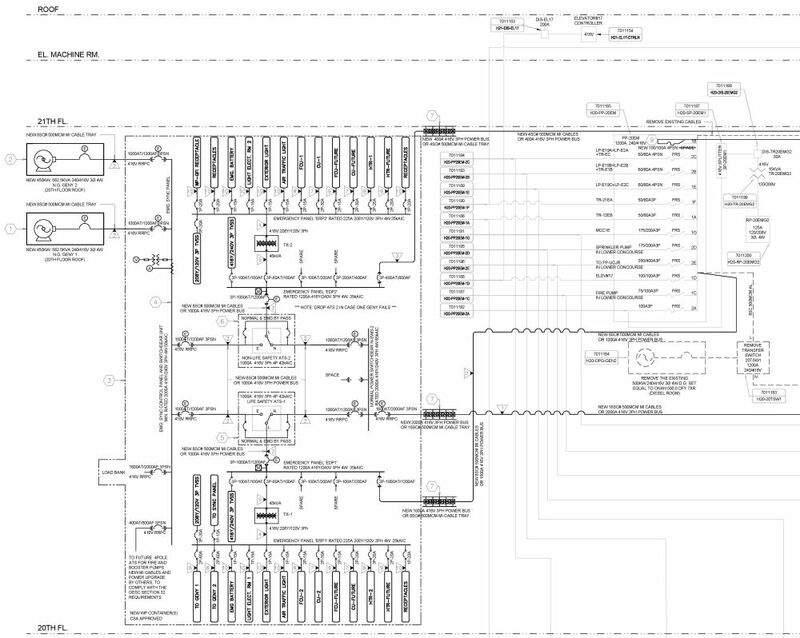 We designed the fire protection for the power cabling system to ensure continuous operation of the emergency system for a minimum 2 hours as required by the latest NBC/OBC, CSA 282 and OESC codes and standards. The emergency power system was designed to be in in compliance with the latest OESC, ULC, CAS 282 and MOE standards and requirements. 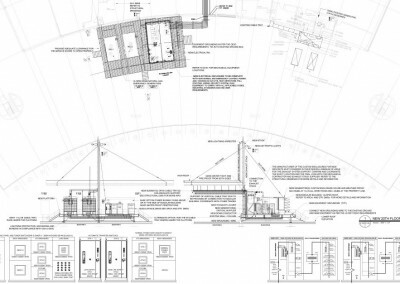 Included with this project was the design of adequate lighting and grounding protection, as well as a caution lighting system for aerial traffic controls. 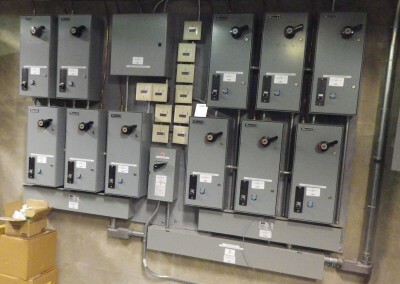 The existing generator and the transfer switches were located in the penthouse level of this 20 storey building. 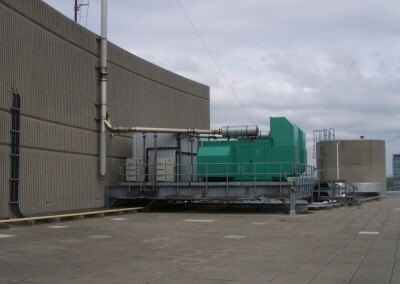 Options for locating the new generators were assessed and it was decided that the new equipment would be placed on new structural steel mezzanines that would be located on the roof of the building. 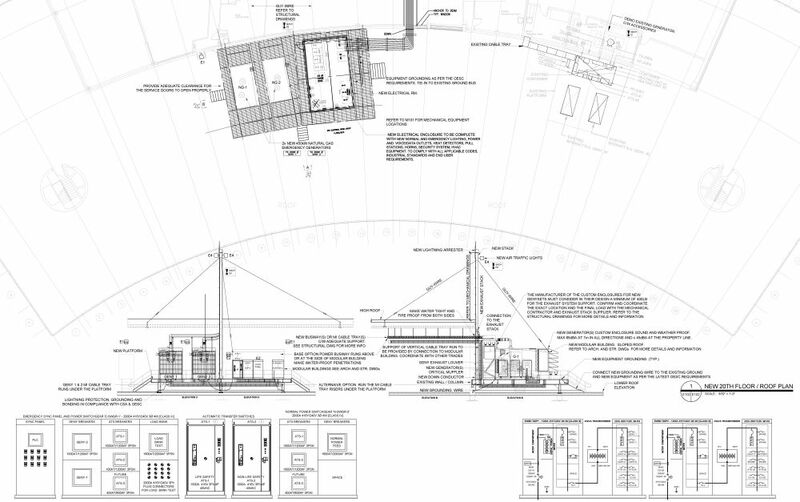 Additionally, we designed a new modular building to house the electrical equipment and controls.